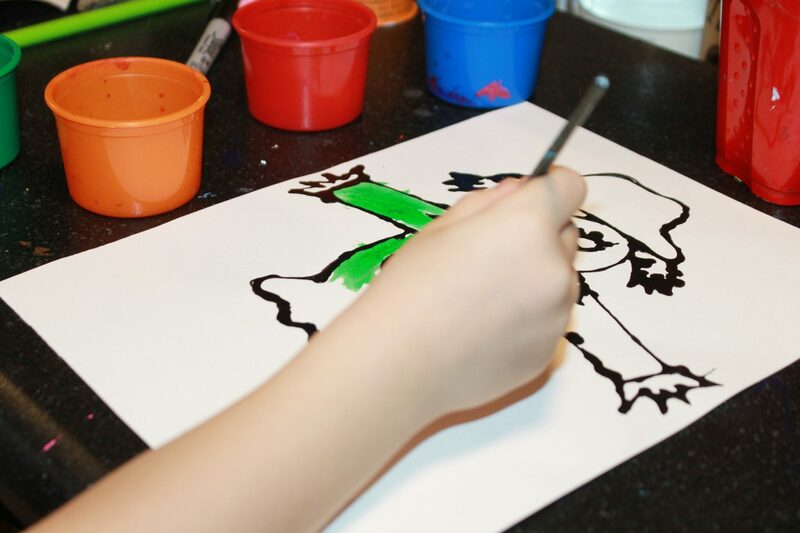 Black glue art is great for building hand eye coordination. My five year old adores this process. It may be tricky for the younger kids, but the template can also be decorated using crayons and markers as well. You will want to prepare your glue first. This is just a mixture of black acrylic paint and white glue. We added just enough paint to turn our glue black. It was roughly about 3 parts glue and 1 part paint, but play around with it to find your best consistency. Shake or stir the glue well to mix it and then test it out before using. Next, print your template onto a piece of watercolor paper. You will need to trim your watercolor paper to fit. Trace your template by squeezing the black glue over the lines. Draw on your face and decorate your scarecrow with the black glue. Let the glue dry. This could take several hours or may even take overnight. For those that are impatient like us, you can also use a hairdryer on low-speed. Once the glue has hardened, it is time to paint. Paint within the black lines with liquid watercolors and let it dry. Once the paint is dry, you can cut out your scarecrow. My daughter chose to keep this one as is because she liked her “creepy sky.” We made a few others though and cut those out. Glue a jumbo craft stick to the back of your cut-out to finish off your puppet. 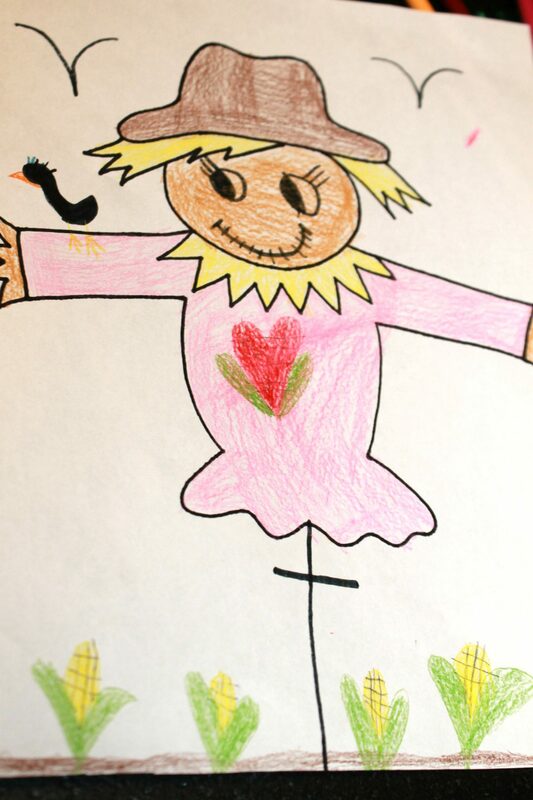 My daughter loved the scarecrow template and had me print out a bunch on copier paper for decorating and coloring.